AD2013-13-09 is issued to prevent failure of the braking system or adverse operation of the spoiler and thrust reverser system due to external damage. The Federal Aviation Administration (FAA) has issued Airworthiness Directive AD2013-13-09 in regards to the Learjet 60 Brake System. This AD requires three separate Service Bulletins (SB) be accomplished within 12 months or 600 hours from August 6, 2013, the effective date of the AD. 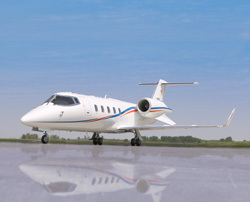 Two of Duncan Aviation locations, Lincoln, Nebr., and Provo Utah, have added to their long list of foreign return-to-service authorizations from countries around the world. The South African Civil Aviation Authority has approved Duncan Aviation’s maintenance, repair and overhaul (MRO) location in Lincoln, Neb., as an approved aircraft maintenance organization. While Duncan Aviation’s Provo, Utah, location, has been officially named a European Aviation Safety Agency (EASA) Part-145 Approved Maintenance Organization. In all, Duncan Aviation’s locations in Lincoln, Battle Creek, Mich., and Provo, Utah, hold certificates for 10 different civil aviation authorities around the world. The company continues to work closely with several global aviation agencies to secure more certifications and will be announcing more certificates later this year. To see the latest certifications by facility, click here. “It’s important to be able to provide service to all of our customers, regardless of location, which is why we’re constantly working to secure new certifications,” says Chris VanderWeide, Chief Inspector of International Airworthiness. As business aviation continues to grow internationally, we will be looking to add more international authorizations. 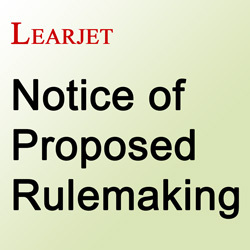 On March 27th, the FAA issued two Notices of Proposed Rulemaking (NPRM) for Learjet 60 and Learjet 40/45. Continue reading for details. The FAA has proposed an upcoming Airworthiness Directive (AD) for Squat Switch & Anti-Skid Shielding on certain model Learjet 60 aircraft. You are encouraged to read the details of and comment about the proposed AD during the open commenting period which ends on May 13, 2013. Details of the Notice of Proposed Rulemaking can be found here. This proposed AD will require the installation of the following Service Bulletins (SB): SB60-32-33 & SB60-57-7. These SBs install the metal shielding around the Main Landing Gear (MLG) Squat Switches & MLG Anti-Skid Valves to protect them in case of an accidental impact. The above SBs are two of the four required SBs to terminate AD 2010-11-11. This AD is the 96-Hour Tire Pressure check, per the FAA Alternate Method Of Compliance (AMOC) Letter L115W-12-459. The other required SBs are SB60-27-6, Wheel Speed Detect Box, and SB60-78-7, Thrust Reverser (TR) Interface Box. Another requirement called out in the AMOC is for the Temporary Flight Manual Change (TFM) 2012-03 to be inserted in the Airplane Flight Manual (AFM). Bombardier first published this information in AW32-061 on July 30, 2012. As a side note, in order to comply with SB60-78-7, the Wheel Speed Detect Box, if previously installed, may need to be exchanged in order to be upgraded for compatibility with the TR Interface Box. The FAA has proposed an upcoming AD for the Baggage Door Fire Seal of certain model Learjet 40/45 aircraft. You are encouraged to read the details of and comment about the proposed AD during the open commenting period which ends on May 13, 2013. Details of the Notice of Proposed Rulemaking (NPRM) can be read here. The proposed AD requires the installation of SB40-25-25, Revision 3, or SB40-25-25, Revision 3, within 300 flight hours after the effective date of the AD. These SBs call for the modification of the fire seal on the baggage door, including doing general visual inspections of the fire seal for correct contact. If Revision 1 or 2 of SBs SB40-25-25 / SB45-25-35 have been complied with prior to the effective date of this proposed AD, no further action is required. My best advice to you, as an operator, is to start now and ask questions and continue to ask questions until you understand. Then ask more. There is so much information available to customers who are beginning their research on FANS-1A solutions. Your best approach when beginning your FANS-1A research is to ask a lot of questions. But don’t be surprised if your questions create more. Break out a pen; it’s time to start taking some notes. Below is an experience I had with a recent customer while discussing a FANS-1A solution for his aircraft. We began to discuss the need for very precise aircraft position information. I told him the least expensive path would be to install WAAS receivers, as they have the level of accuracy needed to accomplish a FANS-1/A solution. No, not exactly. You’ll still need a means of sending and receiving text data from the cockpit to the airspace controlling agency, so you will need some sort of data link system besides the Flight Management Systems. Not just yet. You see, since all voice information is being captured by the cockpit voice recorder now and you’re going to start texting, you will need a different cockpit voice recorder (CVR) than what you have now that can capture text data. Well I’m afraid not, at least not yet. Even though you have the accuracy, the means of capturing the data and generating text data, you still need to send it and receive it and, since you are too far away from land for a VHF signal, you are going to have to rely on Satellite Communications. If you are looking for the most cost effective means, I’d suggest using an Iridium Transceiver. In 2015 is when VHF Datalink (VDL) Mode 2 begins. However, the regulatory authority over the Atlantic is International Civil Aviation Organization (ICAO), and they are saying no one, who is not FANS-1A compliant, will be allowed to fly within the North Atlantic Tracks between the altitudes of FL370 to FL390 beginning in February of 2013. That’s a potential challenge too. Any MROs who have the capability to install the system on your aircraft, are also required to have a Supplemental Type Certificate (STC) for the entire solution, including all of the components. There currently isn’t much out there being offered, in the way of a full solution. Even if there was, you are still required to get a new Letter of Authorization (LOA), which could take months to get approved by your local Flight Standard District Office (FSDO), especially since their work load is so high right now. Customer Question #6 – Is that it? Many operators were told that if they put in this initial solution, the one we just talked about, that when 2015 rolls around and Europe is begin requiring VDL Mode 2, that they would be exempt from having upgrade because they complied early to the first portion. That sounds good, but sometimes you have to ask what it really means to be exempt? In this case, it means that 75 percent of the aircraft operating in Europe will already be complaint, so the remaining 25% will be managed into the airspaces when they can be, with priority being given to aircraft that are already compliant. Because each aircraft requires a unique solution, all systems require a fresh approach. My best advice to you, as an operator, is to start now and ask questions and continue to ask questions until you understand. Then ask more. There is so much information out about the FANs-1/A topic, but so much is still unknown. I’m afraid that we’ve only scratched the surface. At Duncan Aviation, we consider ourselves to be on the cutting edge of all avionics technology, and the subject of FANS-1/A is no different. We have done ample research and talked with hundreds of our customers to develop the most valuable information we can provide. To learn the latest about FANS-1/A, download the Straight Talk about FANS booklet. Watch for information coming soon about an upcoming FANS video series and webinar, created by Duncan Aviation FANS experts. Gary Harpster serves as an Avionics Installations Sales Rep. at Duncan Aviation's full-service facility in Lincoln, Neb. (LNK), specializing in Hawkers and Learjets. He is an industry expert on NextGen initiatives, giving presentations across the U.S. Gary is currently serving as Vice-Chair of the AEA board of advisors. He began his career in aviation in 1977. Duncan Aviation technicians hook up the RVSM test-set to the right-side static ports to test the copilot's RVSM system. Though nearly every general aviation aircraft has received RVSM certification, maintaining that certification has become a cloudy process for operators. With the new Height Monitoring Requirements now a reality, operators continue to have questions. Here is a recent question from a Directory Maintenance about long-term RVSM monitoring. What if my aircraft has the factory RVSM STC, do I still have to have the flight check every two years? The answer is yes. No matter how the RVSM solution was installed on your aircraft, you are still required to meet the Height Monitoring requirement. The guidance says every two years or 1000 flight hours, whichever is greatest. So if you fly less than the 1,000 hours in the two year period, you can continue to meet the height monitoring requirement until you reach the 1,000 hour limit. Height Monitoring Requirements are easily met if your aircraft is equipped with Mode S transponders. With Mode C transponders you will need to have a qualified technician come on board and perform the monitoring. For more information, read the regulatory Requirements for RVSM Maintenance Intelligence article, or download the Straight Talk About RVSM booklet. 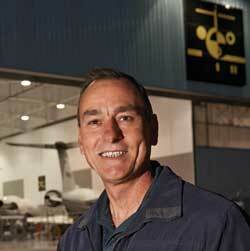 Jeff King is the Chief Inspector of Duncan Aviation's Component Solutions and Avionics Satellite Network. He specializes in FAA regulatory compliance for repair stations and aircraft maintenance professionals. His aviation career began in 1987.